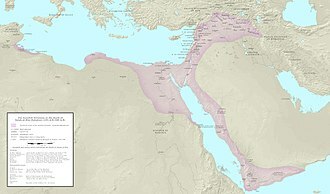 It is best known as the period when the Hyksos people of West Asia made their appearance in Egypt and whose reign comprised the 15th dynasty founded by Salitis. The 12th Dynasty of Egypt came to an end at the end of the 19th century BC with the death of Queen Sobekneferu (1806–1802 BC). Apparently she had no heirs, causing the 12th dynasty to come to a sudden end, and, with it, the Golden Age of the Middle Kingdom; it was succeeded by the much weaker 13th Dynasty. Retaining the seat of the 12th dynasty, the 13th dynasty ruled from Itjtawy ("Seizer-of-the-Two-Lands") near Memphis and Lisht, just south of the apex of the Nile Delta. The 13th dynasty is notable for the accession of the first formally recognised Semitic-speaking king, Khendjer ("Boar"). The 13th Dynasty proved unable to hold on to the entire territory of Egypt however, and a provincial ruling family of Western Asian descent in Avaris, located in the marshes of the eastern Nile Delta, broke away from the central authority to form the 14th Dynasty. The 15th Dynasty of Egypt was the first Hyksos dynasty. It ruled from Avaris but did not control the entire land. 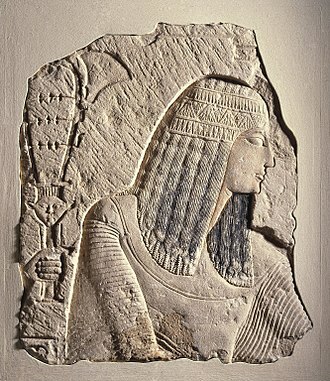 The Hyksos preferred to stay in northern Egypt since they infiltrated from the northeast. The names and order of their kings is uncertain. The Turin King list indicates that there were six Hyksos kings, with an obscure Khamudi listed as the final king of the 15th Dynasty (line X.21 of the cited web link clearly provides this summary for the dynasty: "6 kings functioning 100+X years"). The surviving traces on the X figure appears to give the figure 8 which suggests that the summation should be read as 6 kings ruling 108 years. Some scholars argue there were two Apophis kings named Apepi I and Apepi II, but this is primarily due to the fact there are two known prenomens for this king: Awoserre and Aqenenre. However, the Danish Egyptologist Kim Ryholt maintains in his study of the Second Intermediate Period that these prenomens all refer to one man, Apepi, who ruled Egypt for 40 or more years. This is also supported by the fact that this king employed a third prenomen during his reign: Nebkhepeshre. 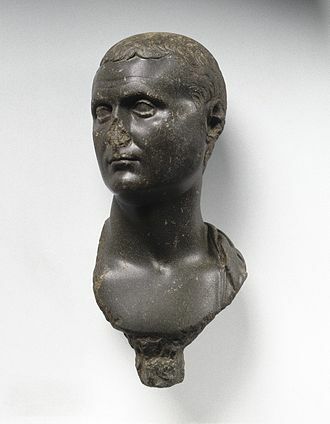 Apepi likely employed several different prenomens throughout various periods of his reign. This scenario is not unprecedented, as later kings, including the famous Ramesses II and Seti II, are known to have used two different prenomens in their own reigns. The 16th Dynasty ruled the Theban region in Upper Egypt for 70 years. Ryholt (1997), followed by Bourriau (2003), in reconstructing the Turin canon, interpreted a list of Thebes-based kings to constitute Manetho's Dynasty XVI, although this is one of Ryholt's "most debatable and far-reaching" conclusions. For this reason other scholars do not follow Ryholt and see only insufficient evidence for the interpretation of the 16th Dynasty as Theban. Famine, which had plagued Upper Egypt during the late 13th dynasty and the 14th dynasty, also blighted the 16th dynasty, most evidently during and after the reign of Neferhotep III. Thebes (Luxor Temple pictured) was the capital of many of the Dynasty XVI pharaohs. 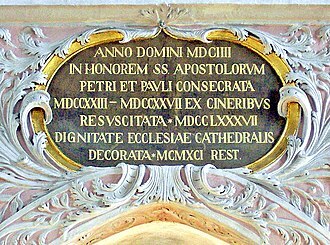 From Ryholt's reconstruction of the Turin canon, 15 kings of the dynasty can now be named, five of whom appear in contemporary sources. While they were most likely rulers based in Thebes itself, some may have been local rulers from other important Upper Egyptian towns, including Abydos, El Kab and Edfu. By the reign of Nebiriau I, the realm controlled by the 16th dynasty extended at least as far north as Hu and south to Edfu. 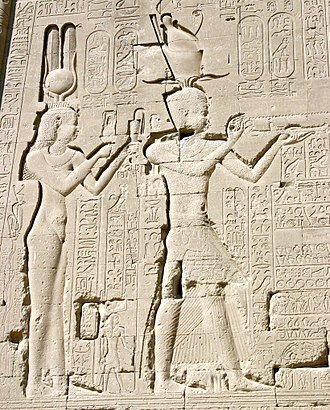 Not listed in the Turin canon (after Ryholt) is Wepwawetemsaf, who left a stele at Abydos and was likely a local kinglet of the Abydos Dynasty. 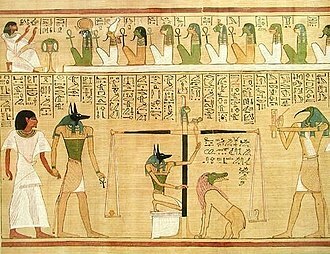 Ryholt gives the list of kings of the 16th dynasty as shown in the table below. Others, such as Helck, Vandersleyen, Bennett combine some of these rulers with the Seventeenth dynasty of Egypt. The estimated dates come from Bennett's publication. The Abydos Dynasty may have been a short-lived local dynasty ruling over part of Upper Egypt during the Second Intermediate Period in Ancient Egypt and was contemporary with the 15th and 16th Dynasties, approximately from 1650 to 1600 BC. The existence of an Abydos Dynasty was first proposed by Detlef Franke and later elaborated on by Egyptologist Kim Ryholt in 1997. The existence of the dynasty may have been vindicated in January 2014, when the tomb of the previously unknown pharaoh Seneb Kay was discovered in Abydos. 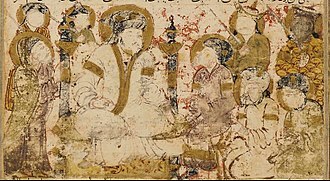 The dynasty tentatively includes four rulers: Wepwawetemsaf, Pantjeny, Snaaib, and Seneb Kay. 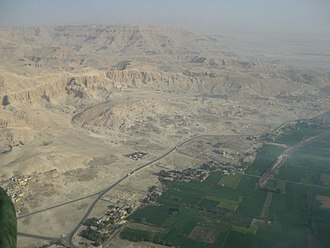 The royal necropolis of the Abydos Dynasty was found in the southern part of Abydos, in an area called Anubis Mountain in ancient times. The rulers of the Abydos Dynasty placed their burial ground adjacent to the tombs of the Middle Kingdom rulers. Around the time Memphis and Itj-tawy fell to the Hyksos, the native Egyptian ruling house in Thebes declared its independence from Itj-tawy, becoming the 17th Dynasty. This dynasty would eventually lead the war of liberation that drove the Hyksos back into Asia. The Theban-based 17th Dynasty restored numerous temples throughout Upper Egypt while maintaining peaceful trading relations with the Hyksos kingdom in the north. Indeed, Senakhtenre Ahmose, the first king in the line of Ahmoside kings, even imported white limestone from the Hyksos-controlled region of Tura to make a granary door at the Temple of Karnak. However, his successors — the final two kings of this dynasty — Seqenenre Tao and Kamose are traditionally credited with defeating the Hyksos in the course of the wars of liberation. With the creation of the 18th Dynasty around 1550 BC the New Kingdom period of Egyptian history begins with Ahmose I, its first pharaoh, completing the expulsion of the Hyksos from Egypt and placing the country, once again, under centralised administrative control. ^ a b Shaw, Ian, ed. (2000). The Oxford History of Ancient Egypt. Oxford University Press. p. 481. ISBN 0-19-815034-2. ^ a b c "Giant Sarcophagus Leads Penn Museum Team in Egypt To the Tomb of a Previously Unknown Pharaoh". Penn Museum. January 2014. Retrieved 16 Jan 2014. ^ Ryholt, K.S.B. 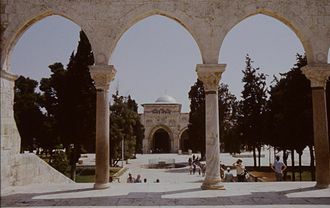 (1997). The Political Situation in Egypt During the Second Intermediate Period, c. 1800–1550 B.C. Museum Tusculanum Press. p. 164. ISBN 8772894210. Kitchen, Kenneth A., "Further Notes on New Kingdom Chronology and History," Chronique d'Egypte, 63 (1968), pp. 313–324. Oren, Eliezer D. The Hyksos: New Historical and Archaeological Perspectives Philadelphia, 1997. The Abydos Dynasty is hypothesized to have been a short-lived local dynasty ruling over parts of Upper Egypt during the Second Intermediate Period in Ancient Egypt. 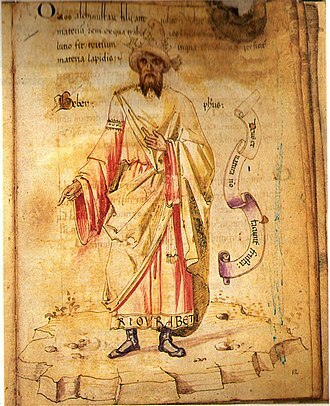 The Abydos Dynasty would have been contemporaneous with the Fifteenth and Sixteenth Dynasties, the existence of an Abydos Dynasty was first proposed by Detlef Franke and elaborated on by Kim Ryholt in 1997. Additionally, Wepwawetemsaf and Snaaib, another king of the period, are known from single stelae discovered in Abydos. Finally, Ryholt argues that the existence of an Abydos Dynasty would explain 16 entries of the Turin canon at the end of the 16th Dynasty. 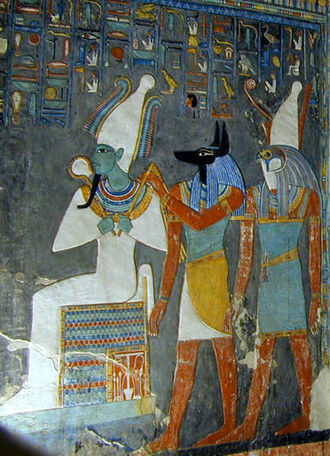 If Senebkay indeed belongs to the Abydos Dynasty, his tomb might signal the royal necropolis of this dynasty, the existence of an Abydos Dynasty is not agreed by all scholars. Thus if the Abydos Dynasty did exist, this workshop would have been producing stelae for two enemy dynasties, something which he judges to be rather unlikely. It remains unclear however, whether these two dynasties ever coexisted at any one time, for instance, in Ryholts reconstruction of the Second Intermediate Period, at the opposite, he wonders whether Senebkay might be a king of the Theban 16th Dynasty. The process of Muhammad Alis seizure of power was a long three way civil war between the Ottoman Turks, Egyptian Mamluks, and Albanian mercenaries. 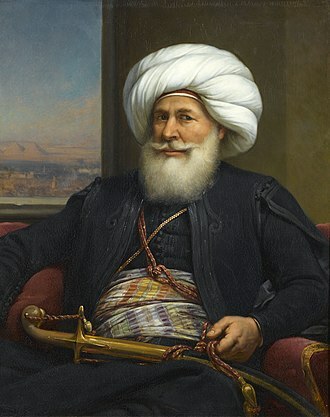 It lasted from 1803 to 1807 with the Albanian Muhammad Ali Pasha taking control of Egypt in 1805, Muhammad Ali was the undisputed master of Egypt, and his efforts henceforth were directed primarily to the maintenance of his practical independence. Ottoman-Saudi war in 1811–18 was fought between Egypt under the reign of Muhammad Ali and the Wahabbis of Hijaz, when Wahabbis captured Mecca in 1802, the Ottoman sultan ordered Muhammad Ali of Egypt to start moving against Wahabbis to re-conquer Mecca and return the honour of the Ottoman Empire. After a successful advance this force met with a repulse at the Battle of Al-Safra. In the end of the year Tusun, having received reinforcements, again assumed the offensive and he next took Jeddah and Mecca, defeating the Saudi beyond the latter and capturing their general. But some mishaps followed, and Muhammad Ali, who had determined to conduct the war in person and he deposed and exiled the Sharif of Mecca and after the death of the Saudi leader Saud he concluded a treaty with Sauds son and successor, Abdullah I in 1815. Tusun returned to Egypt on hearing of the revolt at Cairo. 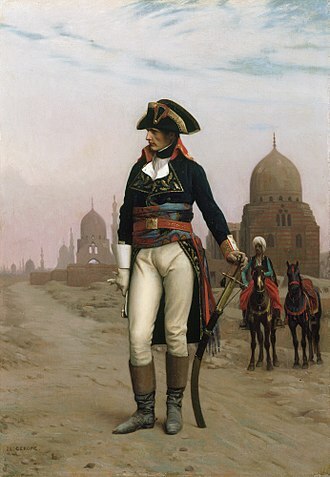 This expedition, under his eldest son Ibrahim Pasha, left in the autumn of 1816, the war was long and arduous but in 1818 Ibrahim captured the Saudi capital of Diriyah. At the close of the year 1819 Ibrahim returned having subdued all opposition in Arabia, while the process had begun in 1808, Muhammad Alis representative at Cairo had completed the confiscation of almost all the lands belonging to private individuals, while he was absent in Arabia. The former owners were forced to accept inadequate pensions instead, by this revolutionary method of land nationalization Muhammad Ali became proprietor of nearly all the soil of Egypt. During Ibrahims engagement in the second Arabian campaign, the pasha turned his attention to strengthening the Egyptian economy. He created state monopolies for the products of the country. In 1819 he began digging the new Mahmoudiyah Canal to Alexandria, the old canal had long fallen into decay, and the necessity of providing a safe channel between Alexandria and the Nile was much felt. The term itself was coined by eighteenth-century historians and the distinction between the Old Kingdom and the Early Dynastic Period is not one which would have been recognized by Ancient Egyptians. The Old Kingdom is most commonly regarded as the period from the Third Dynasty through to the Sixth Dynasty, many Egyptologists include the Memphite Seventh and Eighth Dynasties in the Old Kingdom as a continuation of the administration centralized at Memphis. During the Old Kingdom, the king of Egypt became a god who ruled absolutely and could demand the services. 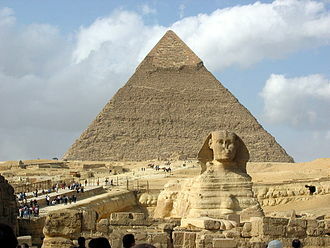 Under King Djoser, the first king of the Third Dynasty of the Old Kingdom, the capital of Egypt was moved to Memphis. A new era of building was initiated at Saqqara under his reign, King Djosers architect, Imhotep is credited with the development of building with stone and with the conception of the new architectural form—the Step Pyramid. Indeed, the Old Kingdom is perhaps best known for the number of pyramids constructed at this time as burial places for Egypts kings. 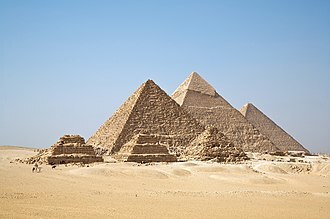 For this reason, the Old Kingdom is frequently referred to as the Age of the Pyramids, the first king of the Old Kingdom was Djoser of the third dynasty, who ordered the construction of a pyramid in Memphis necropolis, Saqqara. An important person during the reign of Djoser was his vizier and it was in this era that formerly independent ancient Egyptian states became known as nomes, under the rule of the king. The former rulers were forced to assume the role of governors or otherwise work in tax collection, Egyptians in this era worshipped their king as a god, believing that he ensured the annual flooding of the Nile that was necessary for their crops. Egyptian views on the nature of time during this period held that the worked in cycles. They perceived themselves as a specially selected people, the Old Kingdom and its royal power reached a zenith under the Fourth Dynasty, which began with Sneferu. 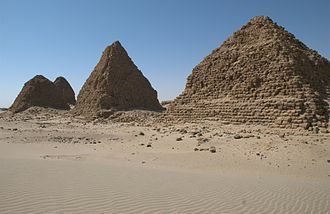 Using more stones than any king, he built three pyramids, a now collapsed pyramid in Meidum, the Bent Pyramid at Dahshur. The first period of British rule is often called the veiled protectorate. 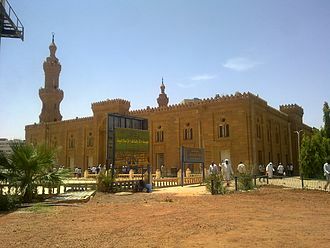 During this time the Khedivate of Egypt remained a province of the Ottoman Empire. This state of affairs lasted until the Ottoman Empire joined the First World War on the side of the Central Powers in November 1914, the ruling khedive was deposed and his successor, Hussein Kamel, compelled to declare himself Sultan of Egypt independent of the Ottomans in December 1914. The formal protectorate over Egypt did not long outlast the war and it was brought to an end by the unilateral declaration of Egyptian independence on 28 February 1922. Shortly afterwards, Sultan Fuad I declared himself King of Egypt, the situation was normalised in the Anglo-Egyptian treaty of 1936, which granted Britain the right to station troops in Egypt for the defence of the Suez Canal, its link with the Indian Empire. Britain continued to control the training of the Egyptian Army, during the Second World War, Egypt came under attack from Italian Libya on account of the British presence there, although Egypt itself remained neutral until late in the war. 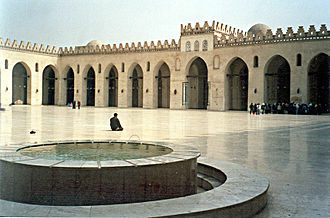 After the war Egypt sought to modify the treaty, but it was abrogated in its entirety by a government in October 1951. After the Egyptian Revolution of 1952, the British agreed to withdraw their troops, Britain went to war against Egypt over the Suez Canal in late 1956, but with insufficient international support was forced to back down. 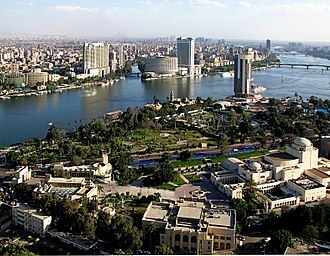 Throughout the 19th century, the dynasty of Egypt had spent vast sums of money on infrastructural development of Egypt. However, in keeping with its own military and foreign origin, despite vast sums of European and other foreign capital, actual economic production and resulting revenues was insufficient toward repaying the loans. 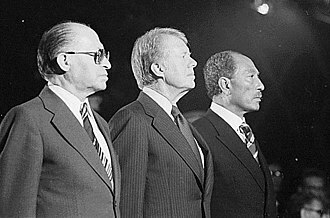 Consequently, the country teetered toward economic dissolution and implosion, in turn and foreign finances took control of the treasury of Egypt, forgave debt in return for taking control of the Suez Canal, and reoriented economic development toward capital gain. A large military demonstration in September 1881 forced the Khedive Tewfiq to dismiss his Prime Minister, many of the Europeans retreated to specially designed quarters suited for defence or heavily European settled cities such as Alexandria. The Third Intermediate Period of Ancient Egypt began with the death of Pharaoh Ramesses XI in 1070 BC, ending the New Kingdom, and was eventually followed by the Late Period. The period was one of decline and political instability, coinciding with the Late Bronze Age collapse of civilizations in the Near East and it marked by division of the state for much of the period and conquest and rule by foreigners. But many aspects of life for ordinary Egyptians changed relatively little, the period of the Twenty-First Dynasty is characterized by the countrys fracturing kingship. 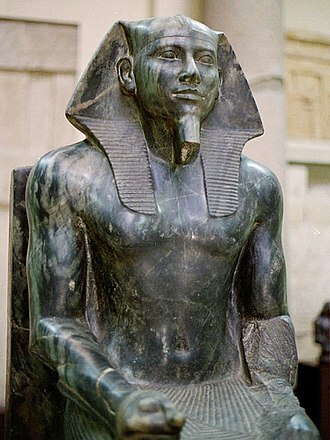 Even in Ramesses XIs day, the Twentieth dynasty of Egypt was losing its grip on power in the city of Thebes, after his death, his successor Smendes I ruled from the city of Tanis, but was mostly active only in Lower Egypt which they controlled. Meanwhile, the High Priests of Amun at Thebes effectively ruled Middle and Upper Egypt in all, this division was less significant than it seems, since both priests and pharaohs came from the same family. The country was reunited by the Twenty-Second Dynasty founded by Shoshenq I in 945 BC. 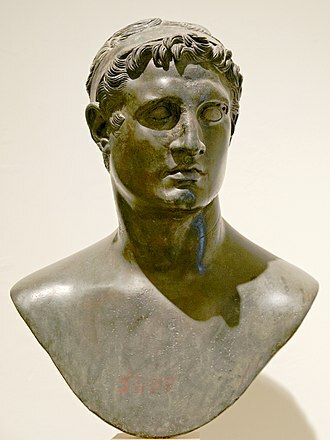 In Thebes, a civil war engulfed the city between the forces of Pedubast I, who had proclaimed himself Pharaoh versus the existing line of Takelot II/Osorkon B. These two factions squabbled consistently and the conflict was resolved in Year 39 of Shoshenq III when Osorkon B comprehensively defeated his enemies. 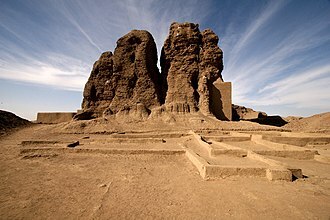 The Nubian kingdom to the south took full advantage of this division, piye established the Twenty-Fifth Dynasty and appointed the defeated rulers as his provincial governors. He was succeeded first by his brother, and by his two sons Shebitku and Taharqa respectively, the reunited Nile valley empire of the 25th dynasty was as large as it had been since the New Kingdom. Pharaohs, such as Taharqa, built or restored temples and monuments throughout the Nile valley, including at Memphis, Kawa, Jebel Barkal, the 25th dynasty ended with its rulers retreating to their spiritual homeland at Napata. It was there that all 25th dynasty pharaohs are buried under the first pyramids to be constructed in the Nile valley in millennia, the Napatan dynasty led to the Kingdom of Kush, which flourished in Napata and Meroe until at least the 2nd century AD. Illustration from "Excavations at Kerma" by George A. Reisner, printed in 1923. A Gerzeh culture vase decorated with gazelles, on display at the Louvre. Statuette of Merankhre Mentuhotep, a minor pharaoh of the Sixteenth Dynasty, reigning over the Theban region c. 1585 BC. Vessels from Sai island, Kerma culture. 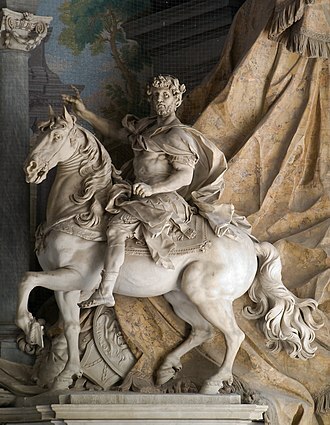 On display at the Musée du Louvre. Ancient Kerma bowl kept at the Museum of Fine Arts, Boston. "Bowl with Running-Spiral Decoration"
Kamose's second stela which records his victory against the Hyksos (Luxor Museum).